A basement cellar can be a beautiful relaxing space. Apart from adding space and value it can earn a lot of extra money in rental income as well as providing essential living space. The most important part of any basement or underground conversion is the water proofing. Anything less than perfect just won’t do. We offer both types of water proofing, both Type A K11 Tanking Systems and Type C SovDrain cavity membrane. The key to success is to make sure it is well ventilated and that the structure is sound. A full survey will be carried out and a specification for the individual job or project will be drawn up before any work starts. We will also consider the hydrostatic pressure and try to relieve this with good drainage where required. 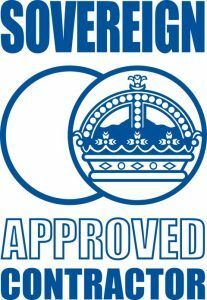 We work with Sovereign to provide the best techniques and products, ensuring the work is of the highest quality, giving you peace of mind.